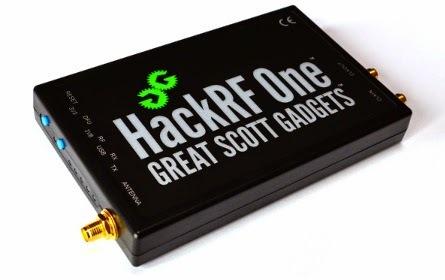 The Hack Rf One is a sophisticated software design radio capable of transmission or reception of radio signals from 10 MHz to 6 GHz.. 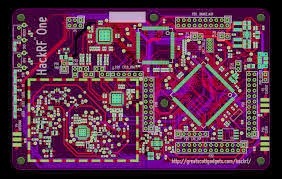 Most importantly HackRF One is an open source hardware platform that can be used as a USB peripheral or programmed for stand-alone operation.. The designer Michael Ossmann initiated a very successful Kickstarter project where I bought an emty pcb. It took about a year until I collected the pcb, in a way Michael became a victim of his own success. I don't want even to start to think about the pressure to deliver so many devices of this complexity. There are pitfalls waiting around every corner. Fortunately Mr. Ossmann had the capabilities to manage such a huge and complex project. Now after I received my pcb (unfortunately I did not buy more), I needed to get my hands on the parts. Once there is high frequency involved, there are usually some hard to get hf parts, like transformers or matching elements and so on,.. Mr. Ossmann however did a great job, you can buy all parts from only two sources, Digikey an Mouser. At least if you are an American. Digikey does not ship the RFFC5072 mixer outside the US. Immediately my project was on hold again. I tried nearly everything, even contacted the manufacturer of these chips, no luck. The only workaround was to contact an American resident and ask him to order and ship the part to me. I never im my life had to go this route as an European usually if one company does not want to make business with you you find a dozen others which will step in. Anyhow, after I received the parts, I started to think about how to build this radio. The components used are super small, f.e. 0402 resistors and capacitors which are a real pain to populate. The best way to rebuild a complex circuit is to break it into components and test them during the build process if possible. I decided to start populating the power regulator section first. Then I applied power and tested the 3V3 rail which worked. To test the 1V8 Rail I connected R54 to +5V (see pic) and powered the Regulator over C143. To power the regulator I used a Kelvin Probe to avoid soldering again. Then I measured the output over the terminals P1 and P8 and Ground. After successfully completing step a we are ready for the next step, populating the controll logic. We are about to populate everything outside the fenced area of the board. Step b is a huge step, which I braked down to about three reflow processes. and the last step is to populate the Cpld and passives, the signal leds and the usb connector. I decided to reflow the usb connector as late as possible, because it is easily destroyed during the reflow. For the same reason I did not populate the switches. After each reflow process it is wise to inspect the components for possible shorts or cold solder joints and to measure the resistance of the main voltage rails against ground. After completing the reflow processes and inspections of stage b, we can now connect the board to the pc. Before we can do that it is important to install the necessary software as described here. Nothing should happen, except the 3V3 led should be active. Then I shorted the dfu switch and the reset switch using two wires. After releasing the reset wire the board should enumerate over usb. Using dfu util I tried to program the arm controller. Found Runtime: [1fc9:000c] devnum=0, cfg=1, intf=0, alt=0, name="DFU"
In fact I was stuck after this step and searching for reflow errors on my board for quite a while. 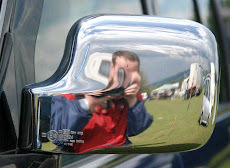 But I was not able to figure the problem out. After clicking the ok button I finally was able to transfer the Arm firmware to the board. After a reset the Hackrf finally enumerated correctly and I was able to program the Cpld code using Michael Ossmans flash cpld program. Then I executed hackrf_info just to be sure the computer is able to identify the board and it worked.